Knuckle Ball Wiper Seals offer, without a doubt performance and quality. The Ball Wiper Seal is a double sided seal that keeps grease in and dirt out, all while eliminating the use of the OEM felt and rubber. Since it is made from seal-grade polyurethane, not UHMW, the seal is pliable enough to stretch over the knuckle ball during installation. This eliminates the need to cut the seal for installation which allows water to enter the knuckle ball and for grease to escape. 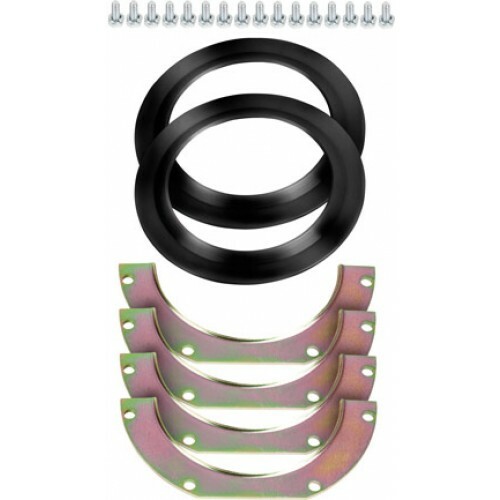 Knuckle Ball Wiper Seals are sold in pairs with our legendary HD Rings. One kit will complete one axle.